We have quite a few BIG changes and updates in the works, and we thought it would be a good idea to tell you about one in particular before it happens. 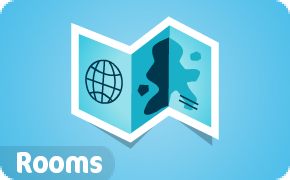 Soon, we will be introducing an entirely new and much improved level up system. As you know, the current system is based on collecting 4 different badges for each level. Badges are very cool (and they are here to stay), but the current level up system has a few big problems. Problem 1: We have a lot of users stuck on Level 7, just like we had a lot of users stuck on Level 6. As soon as Junk Key is out, we will have a lot of users stuck on Level 8. This problem won’t go away until we can hire a bunch of people to do nothing but develop quest and level badges. Problem 2: The badge system is complicated for new users. 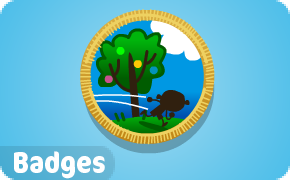 With each new level, a user has to undertstand how to earn 4 different badges. It is clear that a lot of new users don’t understand this system and stay stuck on Jr. level for a long time. This is discouraging for a new player who feels like no matter what they do, they can’t level up. 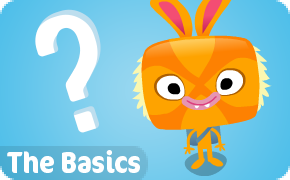 Problem 3: Requiring Badges for levels forces players to do certain things at certain times. We are all for encouraging players to use their scrapbook and do stuff offline, but we know that everybody is different. One week you may think it is great fund creating stuff for your scrapbook, the next week you may want to do something else. Maybe one week somebody thinks it is fun to collect bling, but they are tired of doing it the next week. Requiring specific badges for leveling up forces players to do things they may not think is much fun at the moment. 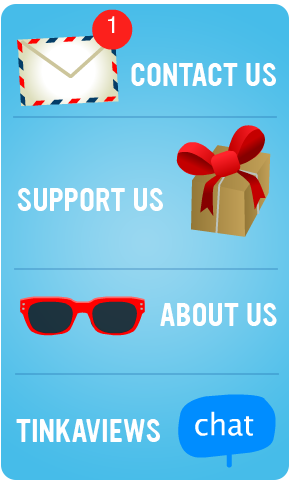 We have developed a new system where you level up by earning experience points. Many other games use this type of system and call it something like XP of Exp, we are going to call it TinkaPoints (the current system of TinkaPoints we have is going to be abandoned). Each level will require a certain number of TinkaPoints. For example Level 1 will require 300 TinkaPoints. 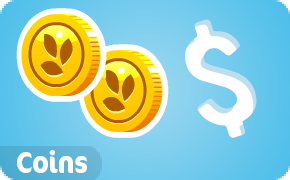 When a player earns those, they will level up, and their TinkatPoints will go back to zero. Level 2 will require 350 TinkaPoints. 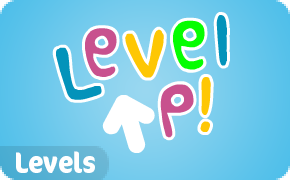 Each level will require more points. 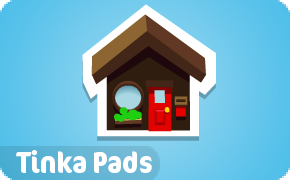 Almost everything you do in the game will give you TinkaPoints, eating, collecting bling, junk, collectables, building stuff, earning seeds, trading, moving, thinking, giving, earning badges, submitting to the TinkaFair. At the top of the screen you will see how many points you have, how many you need, and a progress bar that shows you how close you are to leveling up. Players will no longer have to understand specific badges, or wait for badges to be complete. Everything they do in the game (and all of the Tinka stuff you do away from the game) will help you towards the next level. What does this mean for your current status? We will start the new system with 50 levels. Based on your current status (seeds, blings, badges, items collected, scrapbook, tinkafair etc etc etc) you will be moved to a new level in the new system. Everybody will go up. BUT not everybody will go up to the same level. Some current level 7 players might go to level 15, others might go to level 20. It all depends on the sum of all of your status, not just your current level. What about level up rewards? We will still be giving seeds (or something similar) but we will no longer be giving specific rewards (such as new hair or a new tinka). 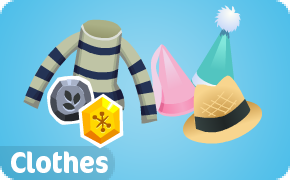 Instead, each level unlocks new items. 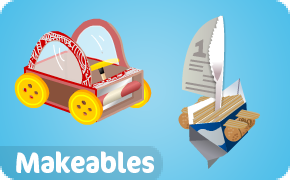 In the beginning, we will have to use the items we have (like makeables and unusuals) but soon we will be adding some exciting new items. More info to come. What about the current TinkaPoints? TinkaPoints as you know them – that is something you get primarily for doing stuff offline, and something you use to build makeables – will be gone. The TinkaPoints you have currently earned will be used as part of the calculation to figure out your new level. What if I think I was put on the wrong level? There will be some players who think they should be at a higher level and some will be frustrated, especially if friends end up at a higher level. We apologize in advance for any frustration, but we hope that all of you will think that this change makes a much better game. If you think a genuine glitch was made (as in a bug in the system that caused you to be put at a completely wrong level) then we will of course take a look at it. But keep in mind, the level you are moved to is based on all kinds of user activity, not just the obvious things you can see like blings and badges. We have been fine tuning and testing for weeks and we are confident that the system is very fair. Hopefully very soon – if not this week, then next. We want to get this in place ASAP, because we have a lot more stuff on the way that requires the new level system. What do you think of this new way of levelling up? 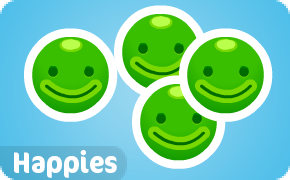 Thanks for the post, handy for those Tinkas who are not allowed on the forums but allowed on Tinkatolli Tricks. Naww, you will catch up ! Beta players are the only people allowed on the forum.. This is a HORRIBLE idea! This is completely sad! I love the way Tinkatolli is now and it shouldn’t be changed! The leveling up idea isn’t that well thought through. The way people level up should be fun by collecting badges! I think I might quit if this style is released! The game after this is implied doesn’t show diversity! My point is that Tinkatolli should stay the same! I love waiting for the new quests to come out! (Even if it takes awhile) But im thinking about quitting with this style. Sorry if it seemed a little rude but I needed to get my point across. Also it says we need people to continuously work on quests just make a level up without a quest required! Thought of a good analogy for it. If it ain’t broke don’t fix it! There doing this for new players.. I can feel it.. It said they are doing this for new players. Just say that you just started Tinkatolli, don’t know any blogs, and you have no idea what to do. You have no idea what badges are. It would be easier to just have EXP, since you just do your normal stuff. Just don’t quit because of one update. It might be easier but is as fun? I mean like will be as fun to walk around and do almost nothing and level up? Will some players who are like fifteen days old who have already got to level seven think its fair that they worked their buts off and then the whole process of leveling up be torn down and started again? What will be the fun in leveling up? I can’t see any fun! And I do know what badges are. I’m sure we will all get use to it, it was the same for me when the new map came out it looked very small but I then got use to it. i agree with journey all of it.Its great how it is and it shouldnt be changed!what if u go down a lvl? Plus its not rocket science… I mean how hard can it be to eat enough blueberry to fill up your meter? Yep agree, this new system will help those new tinkas in the future. Will we still earn badges or not?? 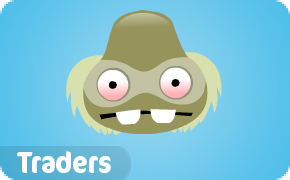 Why close your Tinkatolli account, I know it will take some time getting use to it but the new system will be easier and less confusing for those new tinkers but it will take us old tinkas some time to get use to it and it won’t be that hard. Getting used to? There changing the way the game works practically! Its not just the way the map works or not the way you collect brings no its the entire game almost! :\ if i get leveled down because of the new tinkas then im out. It’s great they try and help them out but if they make it u just play for 12 minutes and get to level 8 then how fun will that be. I like the point we collect bling for moves but collecting points cards is just crazy. Any tinka will say it just dum. I don’t like this and there doing this! They aren’t letting the users have THEIR say in this! dhi there not too easy 😛 !! Will we still earn moves with bling still if not 🙁 it took me ages to get to my amount! I don’t know if we will lose the moves but probably we will keep em if it comes out which im favoring against it coming out because the game will be boring and I don’t need other people replying saying oh this will help new users or we need to get used to it because I don’t honestly care. :\ well if it does level me down i will complain to tinkaluke. Im tired this morning of cold and if it levels me down to level 1 it just giving the newest user a better chance. Journey if they do it then thats what happens. I’m going to quit if it happens so it mostly if they want to loose alot of users they shouldnt change anything.